It gives me great pleasure to welcome you all to the 33rd Annual General Meeting of the association. This year was heralded by a new Unity Government led by President Maithripala Sirisena and Prime Minister Ranil Wickremesinghe, elected primarily on a mandate for democracy, rule of law and good governance. Taking an example from the Unity Government, I am also pleased to report that two premier apparel associations in the country have also decided to unite due to an alignment of our objectives this year. Sri Lanka Apparel Exporters Association (SLAEA) has now merged with the 200 Garment Factory Program Association (200 GFP) in order to strengthen the voice of all our members. We are also pleased with the 19th Amendment to the Constitution and the establishment of independent commissions, which are clear signs that Sri Lanka is stepping in the right direction and working towards creating prosperity in a fair and just society. The constructive engagement with International organisations to address human right issues though a domestic mechanism is another positive step to improve our international relations. The US Ambassador to the UN Samantha Power’s statement during her recent visit said “Sri Lanka is grabbing world attention,” referring to the changes taken by the new leadership to dilute powers, restore democracy and good governance. This is clearly an endorsement of the ongoing process. 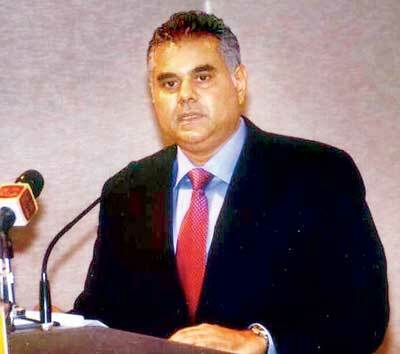 The Prime Minister in his recent Economic Policy statement said, ‘reconstruction mechanisms’ will empower Lankans to deliver globally competitive products to the International market. He further stated that ‘value is added to a product at global level. The global value chain manages the different raw materials and competencies of different countries successfully.’ This is clear evidence of the commitment of the Government to align the country to a global trading system which is indeed a positive development for the industry. Our concern for several years has been the growing number of multi-lateral, regional and bilateral trading arrangements. The preliminary conclusion of the Transpacific Partnership Agreement (TPP) among 12 nations, covering 45% of the world GDP, will be a serious challenge to the industry. 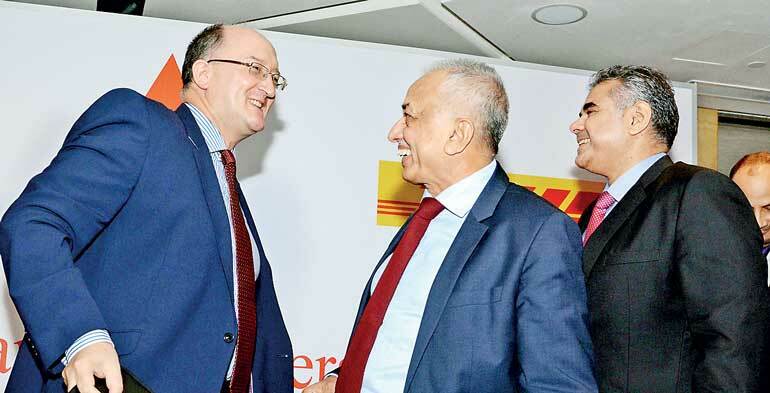 We, as the largest exporter in the country, fully endorse the Prime Minister’s policy direction that we urgently require an international trade policy framework to bridge such threats. India, China, the USA, Korea and Singapore are already on the road map of the Government for such negotiations. Our membership also believes that Japan, Brazil and Turkey, too, should be added to this for preferential trade negotiations. In addition, we are pleased that the Government is taking positive measures to regain GSP+. The steps taken towards creating good governance and rule of law would have surely answered some of the serious issues that were raised in relation to the withdrawal of GSP+. 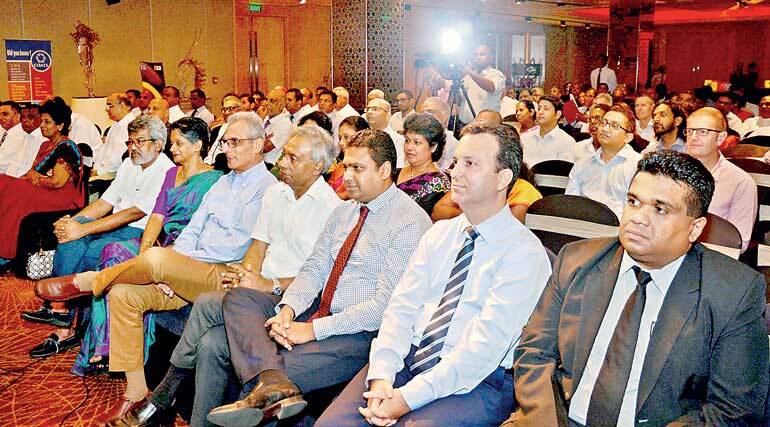 Meanwhile, the apparel industry of Sri Lanka is proud that, for several years, we have promoted ethical and compliant manufacturing and were recognised globally for this commitment. Therefore, the remarkable and substantial progress Sri Lanka has already made has raised our expectation that this facility will be reinstated by mid-2016. We appeal to both the Minister and the Ambassador, who are with us today, to give your priority attention to meet these aspirations. Revisiting of exchange management system to provide for local businesses to become regional and global players. Liberalisation of shipping related business and other service areas to fully exploit the potential in logistics and knowledge based exports. The fast-tracking of the implementation of electronic documentation for imports and exports in order to reduce transaction cost and time. The revision of land lease tax as it was a deterrent to attracting FDI and expansion of existing investors. Firstly, proposals for capacity expansion for identified lagging regions. Secondly, the proposal by SLABA, to set up wholesale and retail market places to showcase the Made in Sri Lanka label at a cost of Rs. 2,500 million in public private partnership. Minister, now it is up to us take these policies forward and request for a continuing dialogue and consultative process with all relevant authorities to translate these into action. Firstly, the revision of PAL from 5.0% to 7.5%, and NBT from 2% to 4% will have a serious impact on our capital investment program. The industry continues to invest in high value automation and technology and upfront tax on capital formation is dis-incentive to future growth of the industry. Secondly, revision on duty on sale of garments to Rs. 200 per pc, which is an increase of 800% from the existing rate structure. The industry manufactures a wide product portfolio from socks to jackets which have a range of economic values. Therefore, under this revised rate structure, a major part of our product portfolio in the industry will no longer be economically viable in the domestic market, and will be a loss to the consumers in this country. We wish to impress upon the authorities about these realities and hope that this could be resolved in a sensible manner. Thirdly, the income tax rate has been revised from 12% to 15% for value added exports. In addition, under the reform measures, the domestic market and export income are unified into one standard rate of 15%. We do understand the reasons for the revision of the tax rate in the interest of revenue collection and fiscal consolidation. However, we see this increase in export income tax as a negative sentiment to exporters. Minister, we also have some operational issues with the BOI, and Customs regulation should be revisited to make them more business friendly and in-line with requirements that help align the value chain across the industrial players with minimum bureaucracy. In addition, the sale of used machinery older than 10 years in the domestic market is another issue. We will seek your assistance to resolve these matters. Finally, we urge that Government intervention in the wage process be limited only to tri-partite arrangements of the Wages Board mechanism for the establishment of minimum wages for the industry. Ad hoc state intervention in the wage mechanism disrupts the basis on which wages are negotiated and takes away the element of performance based pay that we all adopt in our businesses. Ladies and gentlemen, today, we are the largest industrial exporter in the country, exporting $ 4.9 billion in 2014 with a value addition of 60%. We experienced several months of negative growth, especially in the European Union region due to currency weakness in those home markets. However, we remain optimistic that exports this year will be on par with last year. With the advent of GSP+, we expect to increase our growth rate substantially in the future. We remain the most visible industry in rural areas, providing employment for over 400,000 people directly and a further 800,000 indirectly. Our lagging regional expansion plan will only expand our footprint bringing development to these regions. The industries’ credentials as a green, ethical, high quality, reliable manufacturing destination is globally recognised. We will continue to strengthen the competitive position with investment in technology, automation, lean management systems and upskilling our associates. We have also begun our product innovation and design journey to get high value-addition on the front end. Our local brands are making waves, and we expect more to fill the retail malls of regional markets in the future. Furthermore, Sri Lanka apparel also believes that the Asian region will continue to play a pivotal role of manufacturing apparel to the world due to not only the large production base but growing consumer market as well. Therefore, the industry will continue to explore opportunities to expand regionally, while providing knowledge and skill based value-addition in the country. It is our expectation that the new Exchange Management Bill will give impetus for such globalising efforts. There are also exciting new developments that we need to be aware of as they can change our entire business model. Companies are already 3D-printing t-shirts. Meanwhile, researchers at Georgia Institute of Technology are perfecting robots that can sew, which is surely going to be a game-changer. In addition, developments in nanotechnology fibres and wearable technology are gathering pace and will continue to revolutionise apparel as we know it. Therefore, the industry needs to expand its efforts to creating an ecosystem for such innovation and research to accelerate our growth trajectory. Finally, we are encouraged that even today, seven advanced economies are occupying spots among the 10 largest exporters of apparel in the world, which only strengthens our conviction that we can continue to grow and play this role for many years. In this backdrop, we have set our own a target of $ 10 billion by 2025 and continue to be a strong player, not only in rural Sri Lanka but regionally and globally as well.